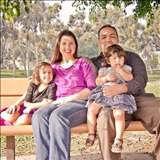 This is your real estate resource for Southern California including Orange County and the Inland Empire. Whether it's looking to buy or sell a home in Southern California, our team is equipped and knowledgeable to assist you with your real estate needs. We offer detailed neighborhood, school, and other pertinent information in a form that is easy to find with the Market Insider. It has access to the most current information about your market and where trends are headed in the Real Estate Market. I work with sellers, investors, first-time buyers, repeat buyers, and current homeowners. We provide guidance and make the process of purchasing and/or selling a home as easy as possible. Please let us know how we can assist and we look forward to helping you today!